Every week, we’ll bring you a must-hear track from the Le Guess Who? 2018 line-up. 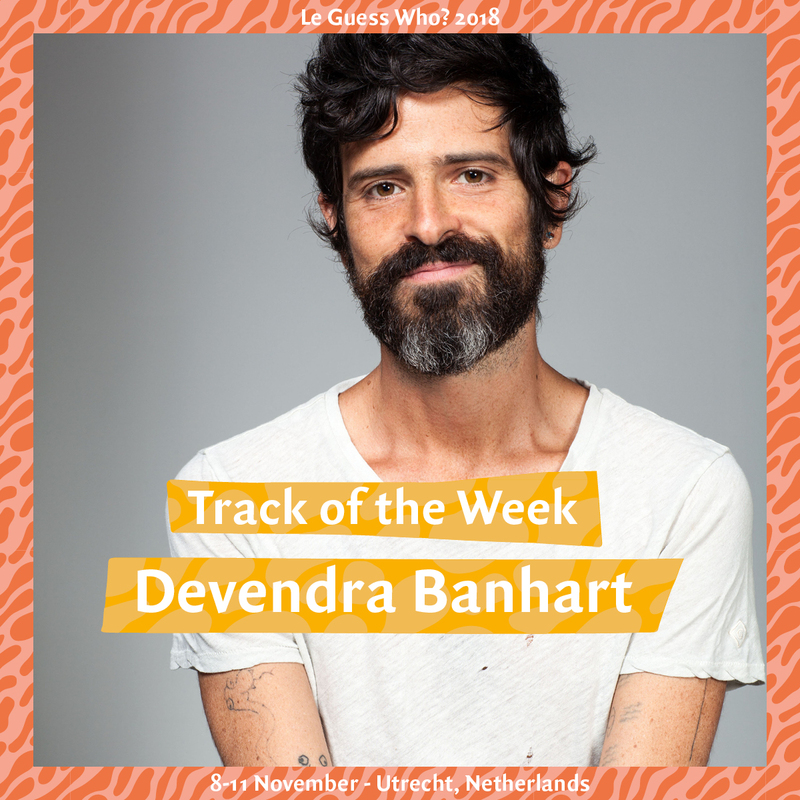 This week, it's a synth-driven song by singer-songwriter Devendra Banhart, with nonchalant nods to disco. In his musical career, Banhart isn't often associated with danceable music, but right from the start 'Fig in Leather' is irresistible to move to. Filled to the brim with catchy guitar chops, seductive synth tones and playful percussion, Banhart tells the story of an aging man seducing a pretty, young lady. Situated in the imaginary space of a shady, unnamed Japanese hotel, Banhart accentuates this peculiar scene by adding Oriental melodies and incidentally singing in broken English. With 'Fig in Leather' being our tenth Track of the Week, we've brought all weekly tracks together in one playlist; listen below via Spotify, or via Deezer or Apple Music. Devendra Banhart will curate as well as perform at Le Guess Who? 2018. His curated program features Vashti Bunyan, Ebo Taylor, Joan of Arc, Beverly Glenn-Copeland, Rodrigo Amarante, Shannon Lay, Jessica Pratt, Shintaro Sakamoto, SASAMI, and many more.